Bird-X Irri-Tape works by creating undesirable reflective rays of light ! 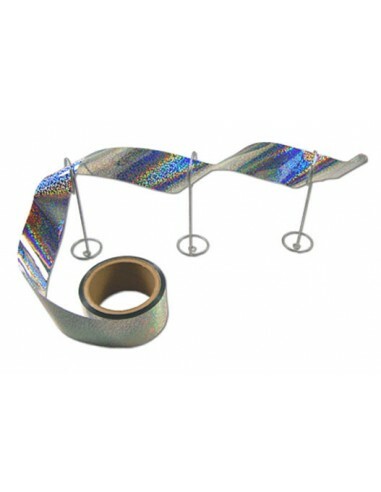 This holographic foil bird tape is designed to to utilize sight and sound to scare birds away from the area. This visual scare product goes by many names including Irri-Tape, foil tape, flash tape, bird tape, repeller ribbon, mirror tape, reflective tape, mylar tape, holographic tape and more. Bird tape is often used in agricultural applications like farms and vineyards. *This product is not suitable for saltwater applications ? please select a different visual scare. 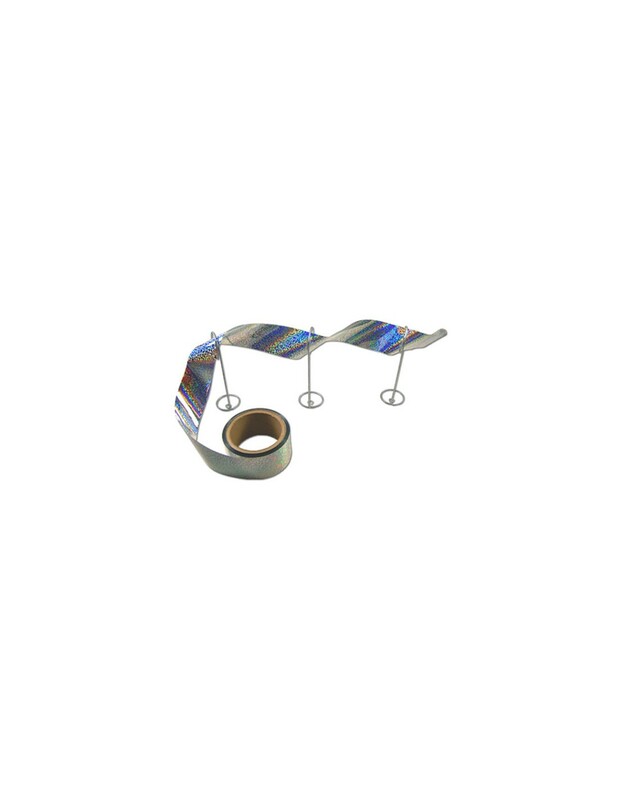 Bird-X Irri-Tape Size: Available in 100 foot or Standard 500 feet rolls.